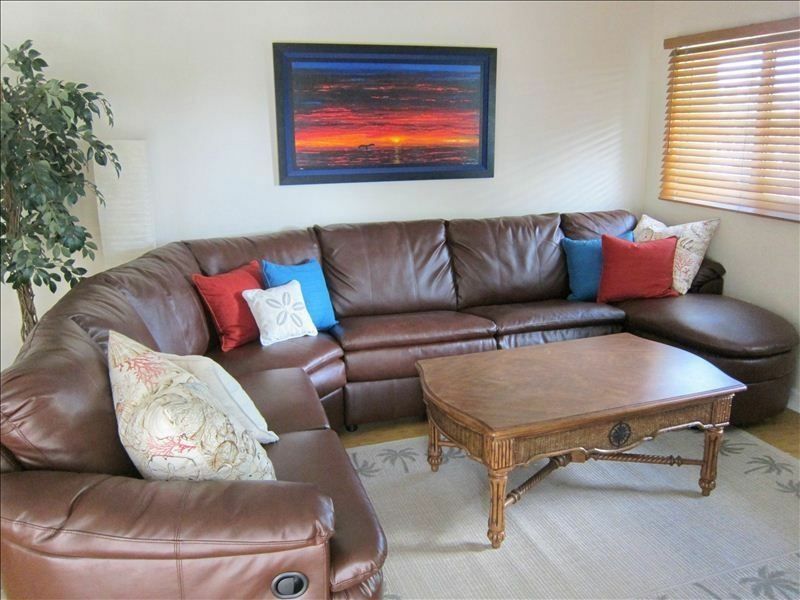 The house is perfect for those traveling with different age groups, in-laws, teenagers or 2 families. 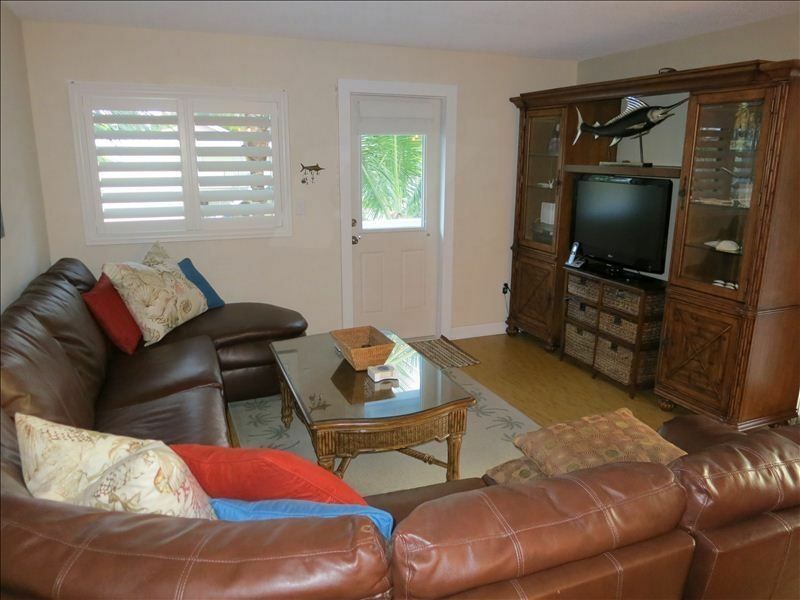 The house is extra clean and has modern furnishings. It has 3 bedrooms, 2 baths. Upstairs there are 2 bedrooms, 1 bath with a new leather couch that pulls out to a queen size bed. Downstairs an independent 1 bedroom, 1 bathroom apartment with a full kitchen, small living room area, & a new leather couch that pulls out to a queen size bed. My name is Michael. 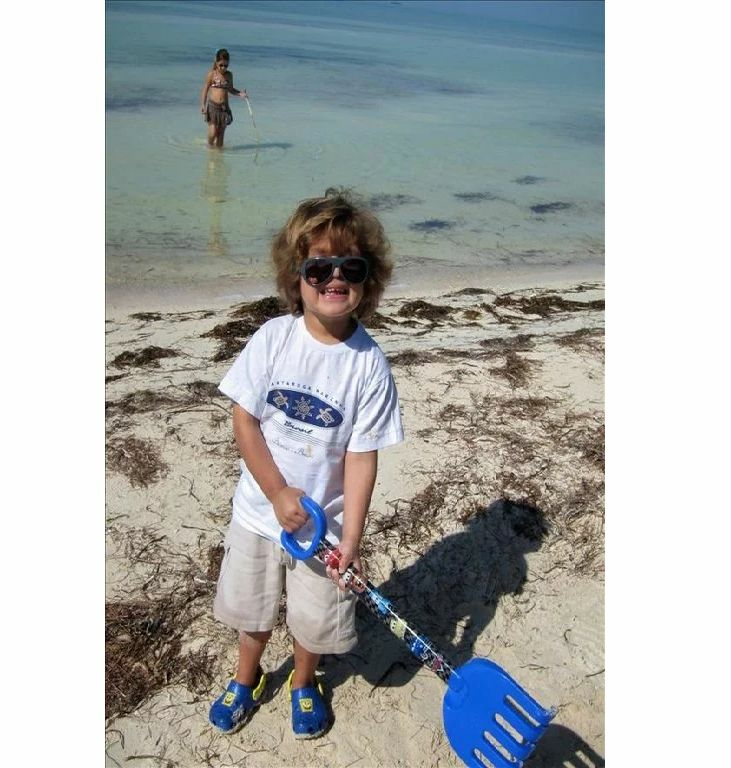 I love diving and spear fishing in Islamorada. 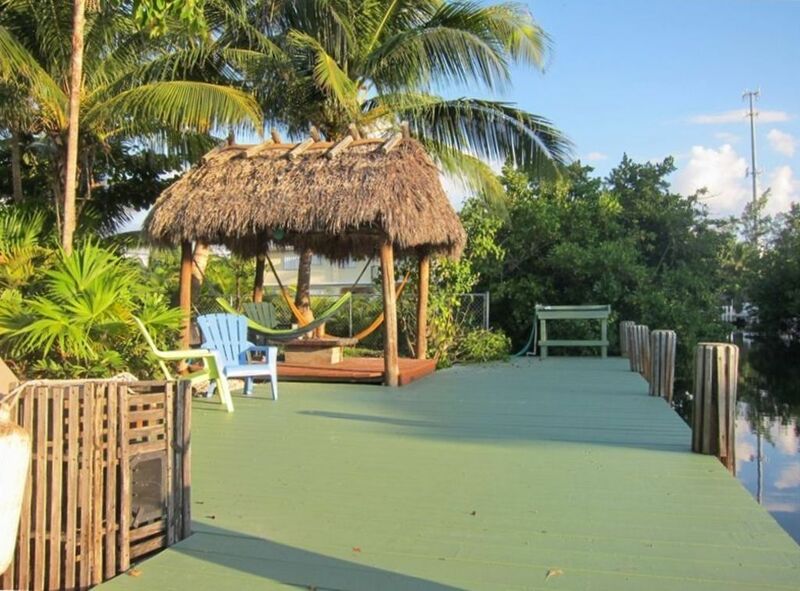 This was the big reason I decided to buy a home in Islamorada. We have some of the best fishing and diving in the world! There is nothing more relaxing than diving to me! 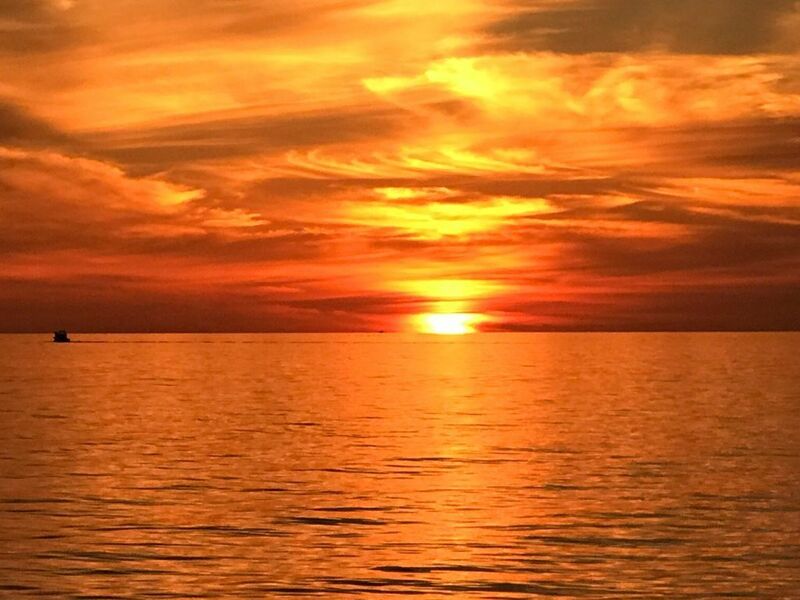 We have the most amazing sunsets at our private neighborhood beach and some amazing restaurants close by! Please come stay at our home and I can share my favorite diving spots! 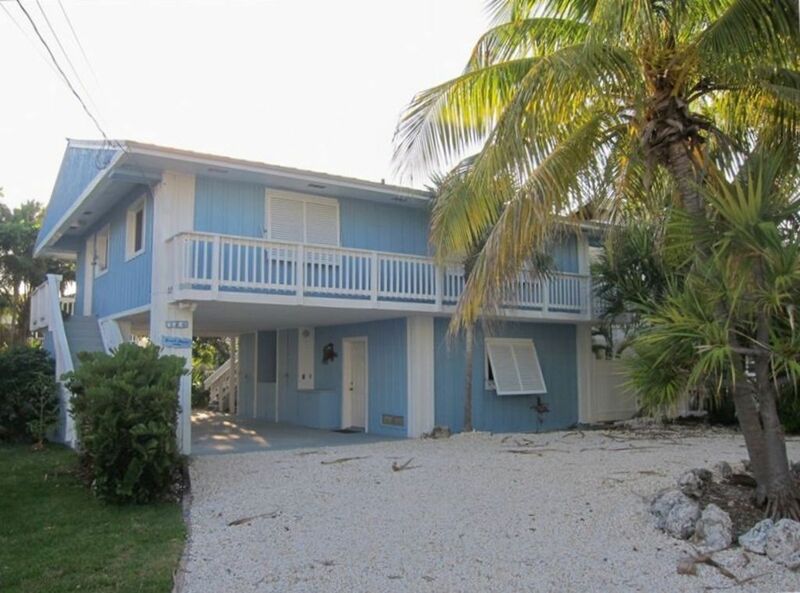 My wife and family have stayed at this particular house in the keys a few times and have always enjoyed it immensely. We've never had any problems with anything and always found the owners to be responsive and available whenever needed. 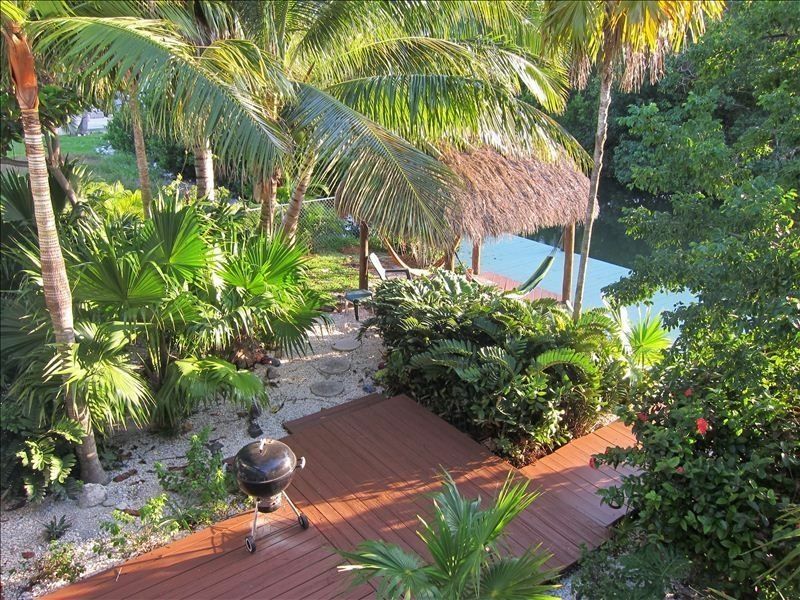 The house and property have everything you'd expect from an island paradise and perfectly located in the middle keys. I stongly recommend renting a boat which can be delivered right behind the house for a very resonable price considering how nice the boat was. You're really missing something if you don't see this place from the water. The backwater and Atlantic are right there and NO tricky navigation was required to find your way out and back. And without even coming close to running aground which is real easy to do in the keys. 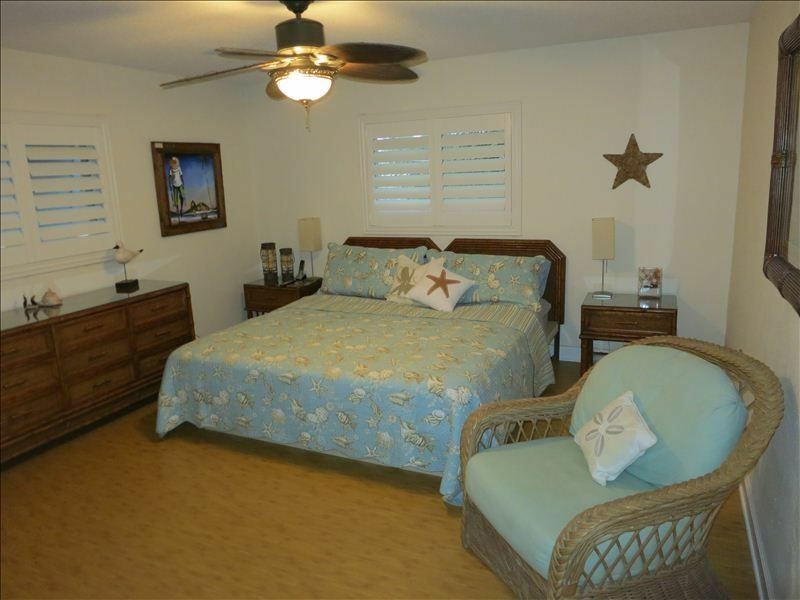 The house is wonderfully decorated and extremely comfortable inside and out. Loved the outside shower. . ! 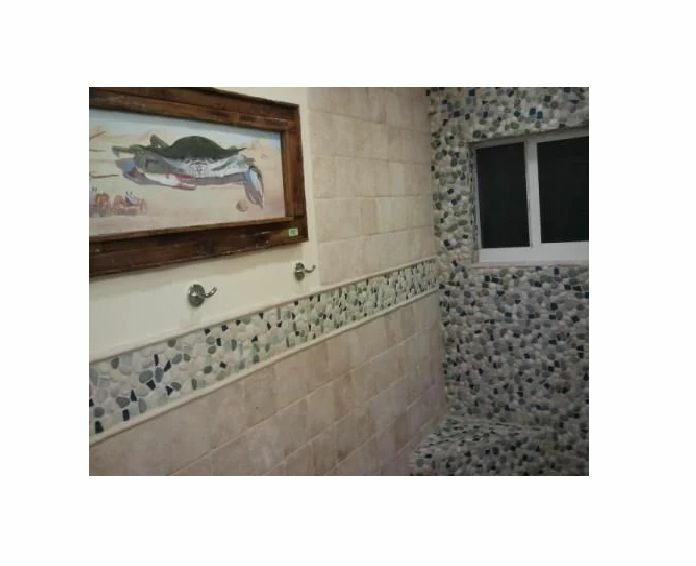 The owner has upgraded the interior recently with a spa like bathroom and new marble countertops. 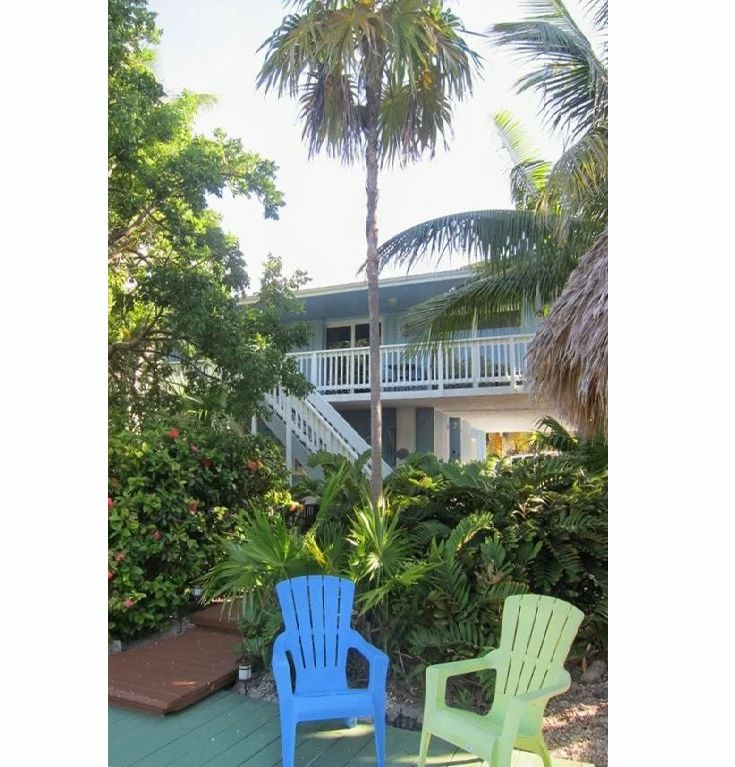 We will look for no other place to stay whenever we visit the keys in the future. I should have given this place a rotten review so it would be available for us next time we come. But I really can't think of one thing to complain about.. . . Come see for yourself.. . just don't block us when we want to come back.. :) I really woudln't want to stay anywhere else down there. A great place to bring a family, especially one with teenage kids who bring their friends.The downstairs offers a separate living space with kitchen and bathroom so the teenagers can run around in the upstairs until whatever time they like without disturbing the peace and quiet of the parents! Alternatively, young kids can be downstairs while the parents party upstairs until all hours!! A number of special features make this place attractive: the dock onto the canal that leads you straight out to the water for fishing and touring (it's really worth renting a boat); the lovely relaxing area with thatched roof covering down at the dock and the outside shower; the cool of the covered deck upstairs; and the great private beach just a short walk away at the end of the road. Crazy Billy's marina and store just around the corner is a great place to hang out as well and Mr Lobster, also just around the corner, is a good place to buy freshly caught seafood. And don't forget to keep your eyes out for the manatees that swim languidly by in the canal. The owners were very helpful - including mailing back to us something we left behind! 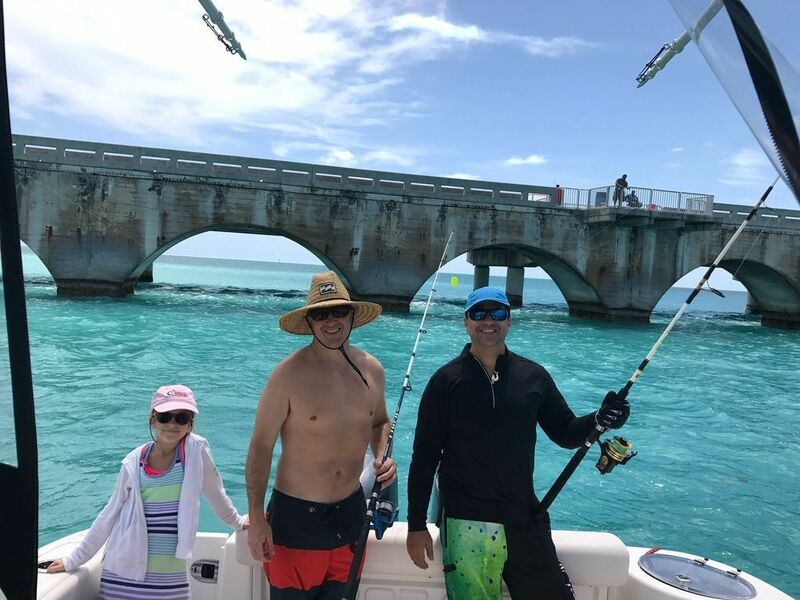 Our group had five adults, all visiting the keys for some fishing. This property was absolutely perfect for our stay. We were a little concerned at first when we realized that the third bedroom (which actually was a complete separate apartment!) had no direct inside access to the main living area. But after spending afternoons on the beautiful porch, and in the tiki hut (I didn't get to try the hammock, snf) then nothing else really mattered. The property was very clean, and the landlord was helpful beyond our expectations!!! He even returned our call while he was in a movie - and left his own fishing gear out for us to use. 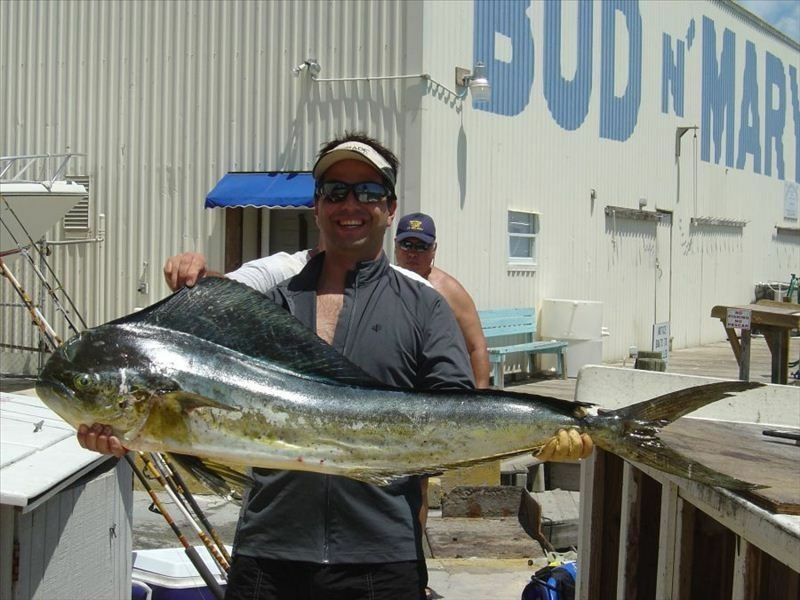 We fished from budnmary's which was very close, and the lazy days restaurant prepared our catch. Everyone in the group voted to return again next year and we will gladly request this property again! We had a great time at this place! Everything was as described or nicer! The owners are great and give excellent recommendations! My title comes from the fact, I just about wore out my fillet knife from cleaning so many fish! Reef fishing and spearing is not a bad boat ride at all and in about 18 miles we were on some great black fin tuna! My wife and children loved the beach, and the neighborhood was very friendly! Thanks for a great vacation! Our family spent 2 weeks in this lovely home and we had a fabulous time. We were 6 adults with 3 small children. We didn't want to stay in a hotel but rather have a home away from home. This place had everything we needed in terms of comfort and was very easy to use. 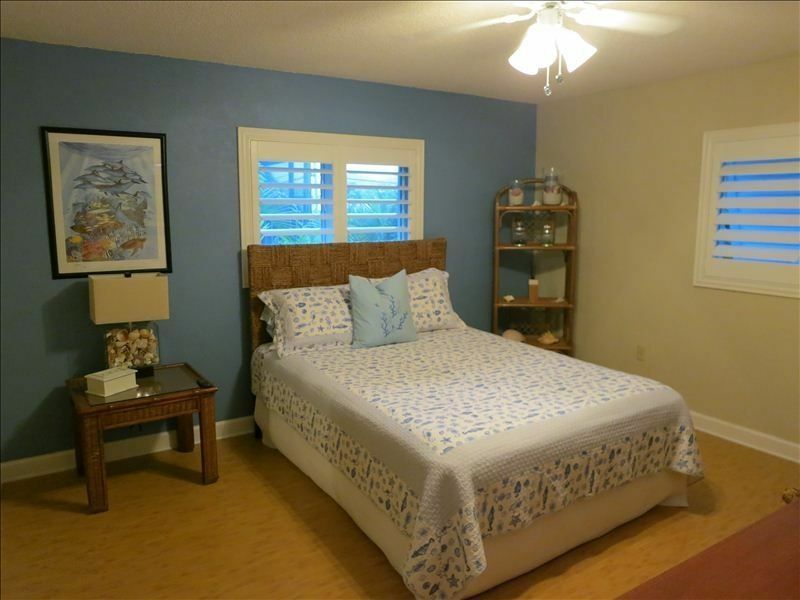 It is in a great location with easy access to activities, restaurants and the grocery store, and has the advantage of being in a quiet neighborhood right on a canal where you can relax and take in the low-key, no stress environment that comes with the house. 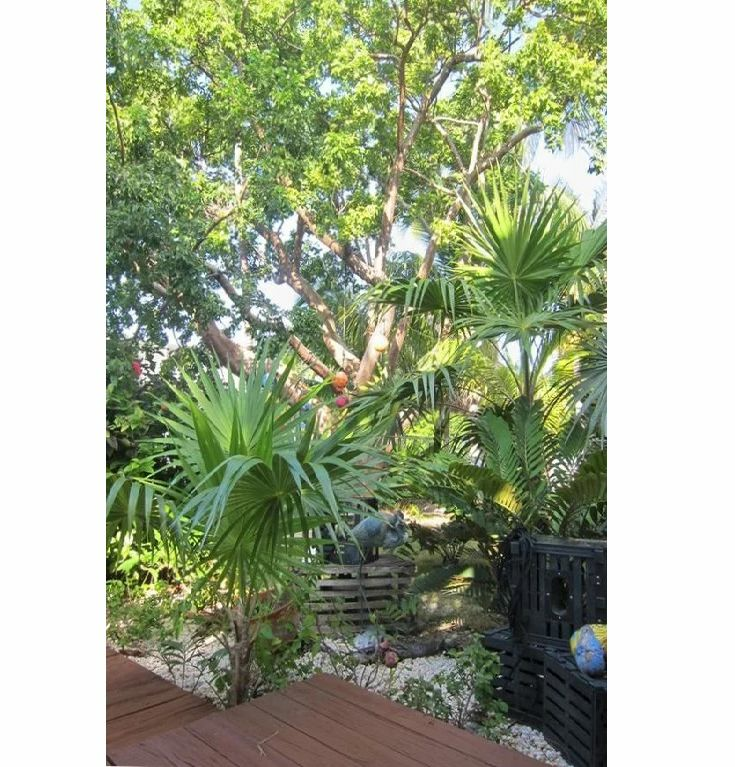 The garden is lush with plants and palm trees, the outdoor deck on the canal is great for having a drink or a meal, or just reading a book while swinging on the hamac. An important advantage of the house is that it has its own private beach, which is crucial since the island really has mainly private beaches. We spent our days there and found that being on the Gulf side was a great advantage. The water is crystal clear, calm and simply beautiful. Plus you're on the right side of the island to watch the sunset, which we did every day, and the colors are just amazing. 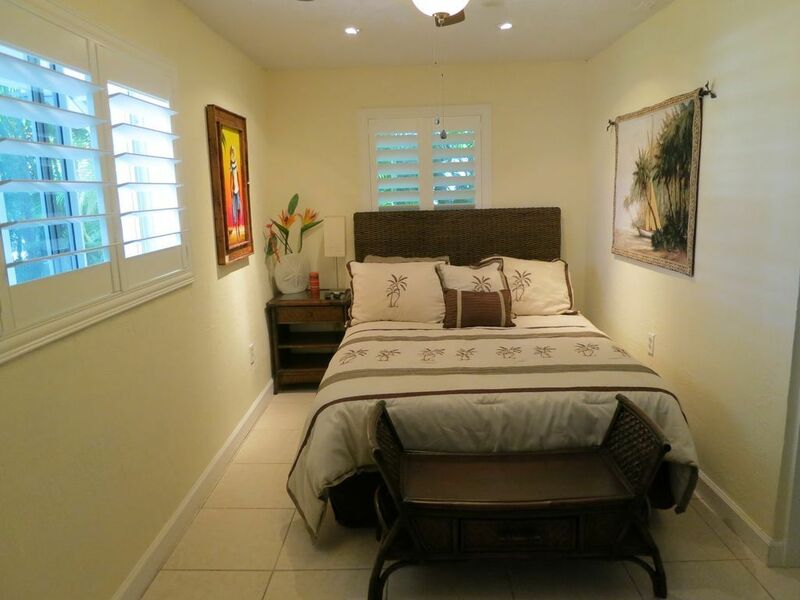 The owner has put great attention in making sure renters are comfortable and feel at home. The house has everything you need, and we just had a wonderful time. The owner was also instrumental in recommending places that made our stay locally very fresh and low key. I highly recommend staying there if you are in this type pf mindset and are looking for this kind of simple quality where you can create great memories. We all look forward to staying there again in the future. Do not hesitate to choose this place, you will not be disappointed and will have an unforgettable time! Beautiful, charming house in the Keys. House is big and spacious enough for family and friends. 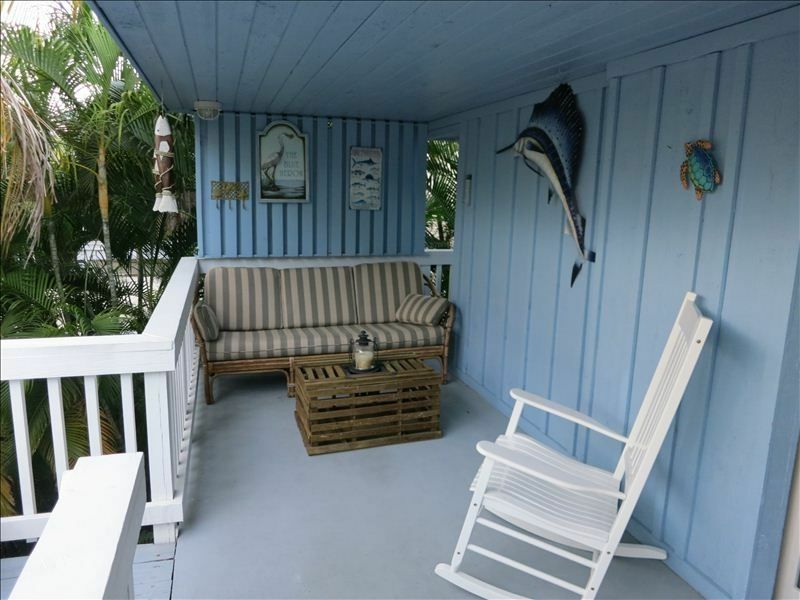 Sits on a quiet canal where you have your privacy yet the ocean is minutes away. You have access to a wonderful private beach. Property is pristine, grounds and garden are beautiful. 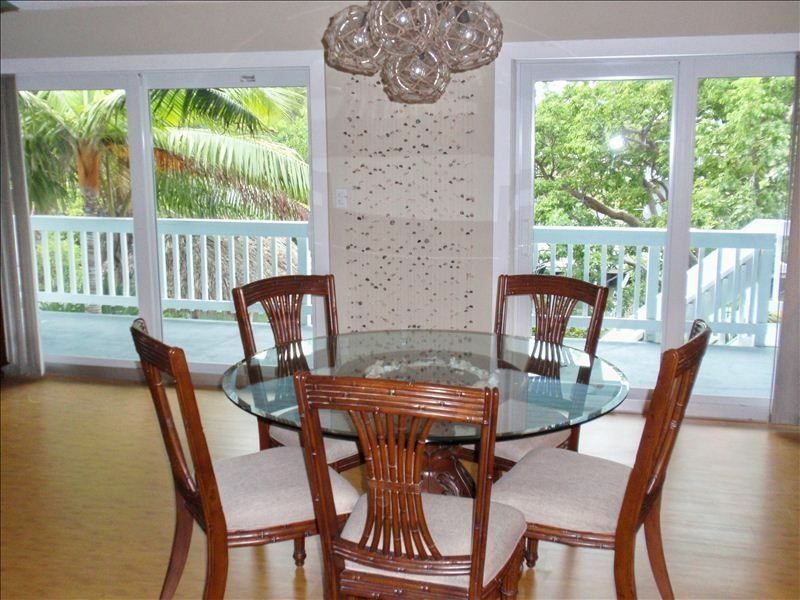 House is convenient to dining, shops, boating, and anything you would want to do on vacation. Check it out! This rental was quite a find. It is a beautiful home! 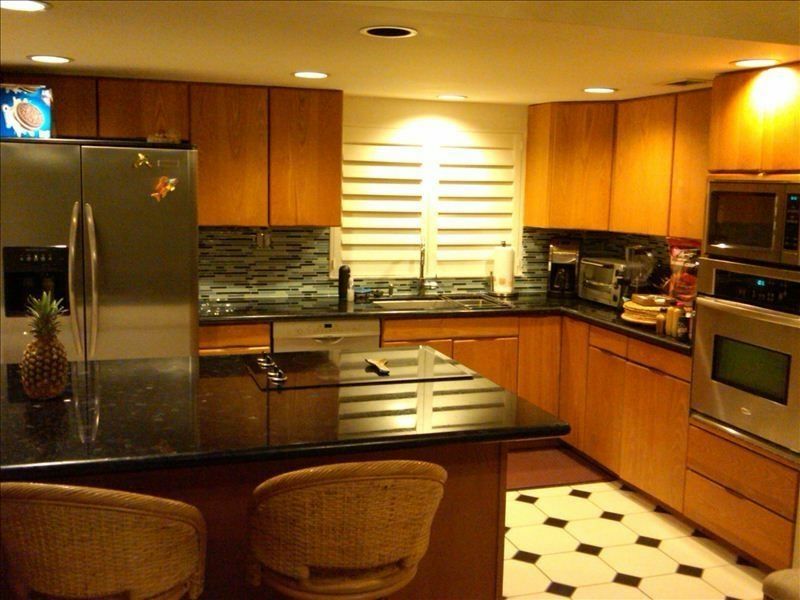 It's very clean, the kitchen is beautiful and well-stocked, the a/c works great. It is so pretty outside too. Sitting outdoors under the tiki hut was always nice and never felt too hot. We rented a boat which was delivered to us and that was so much fun! 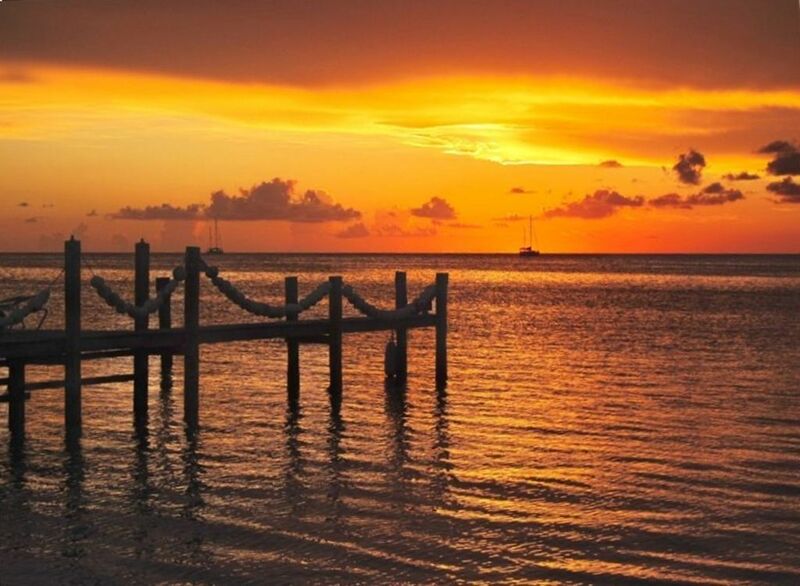 You really get to experience the beauty of the Keys when you spend time on the water. We found several good restaurants not far from the house. Because this home has a separate downstairs apartment, it would be perfect for families traveling with older kids or a babysitter or grandparents. The home owner is a pleasure to deal with. It was a great experience! We had a wonderful time. Everything was clean, new and kid friendly! We have a 2 yr old and we were worried about safety, but no problems. The back of the house / on the water was so relaxing- we were able to rent a boat from this company that delivered the boat right to us- There is a private beach that only the home-owners have access to. We were able to have bbq/picnic and the kids had a great time building sand castles! The water isn't too deep so it was great to drop the beach chairs in the shallow water and enjoy! We cannot wait to go back! The owners were very nice to rent from and even came down to show us around the property/ per our request! The seperate mini apt down stairs was perfect for grandma and gave her , her space. We will definatly return!! Recommended for:Adventure seekers, age 55+, people with disabilities, tourists without a car, pet owners, romantic getaway, families with teenagers, families with young children, girls getaway, sightseeing. We stayed at the Waterfront Paradise property for my dad's retirement and my mom's 60th Birthday celebration. Papa and his grandson got to stay in the apartment downstairs and stay up late watching shows and making midnight snacks, while the upstairs was perfect for the rest of our family. The house had everything we needed, location was perfect, we brought our boat and having it right there at the dock was great to take it out anytime we wanted. Fishing was great! We had manatees and fish just off the dock that we all enjoyed watching. My only suggestion would be to have a larger outdoor eating option maybe on the deck as it's so beautiful outside there! Tropical paradise, we loved it! Thanks so much Michael and Jessica for the wonderful memories! Our stay was excellent and Jessica and Michael were a pleasure to deal with! The main house is lovely and has everything you need. The backyard is truly an oasis and is very private. The boat And private beach access are the icing on top! Would highly recommend this vacation property! Michael Ladin 3056096165 Show Phone No.